Seymour Grobard has been with Grobard & Associates, Inc. in the capacity of Vice President of Operations since its inception. He is the “back room” person responsible for the day-to-day operations of the company. His responsibilities range from communications, computer technology, purchasing, banking, and financial overviews. He has over 45 years of experience in a business environment. Seymour attended both the University of Miami, Coral Gables, Florida and the University of Hartford, Hartford, Connecticut with a Business Major. His business career started in 1953 as the president of a 60 employee, $3,000,000 consumer and building products manufacturing company. He was directly responsible for corporate decisions including all phases of manufacturing, sales & marketing, finance, corporate policy, new product development, equipment and material purchases. In 1984, he sold his business to a competitor. After selling his business he studied for and received his Real Estate license. 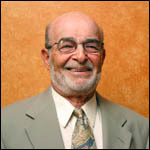 He joined a real estate company in the Hartford area that specialized in commercial real estate and business brokerage. His responsibilities included; listing, leasing and selling commercial/investment properties, office buildings, and retail shopping malls. Because of his business background he gravitated to business brokerage and became Manager of the Business Brokerage division. His responsibilities included preparing businesses for sale, production of sales memorandums, assisting in the buy/sell structuring and negotiations, preparation of agreements and contracts. He remained with the company for 5 years after which time he left to start his own real estate/business brokerage company. For the next eight years he successfully operated his commercial real estate company specializing specifically in business brokerage. He helped sellers of businesses evaluate, establish selling prices, and prepare their businesses for sale. He also served as an expert witness in the buying and selling of businesses. In April of 1998 he relocated to the Atlanta, Georgia to enjoy his semi-retirement.